Last summer, I took the guys in my family on an outdoor adventure. I took them to Grosse Savanne Eco-tours to experience the baby birds nesting in the rookeries, which is one of the most precious things in nature to me. When we pulled up to the field office in Bell City, Louisiana to meet our guide, he asked if we would like to start the tour in the truck on the agricultural side to see some of the rice crop. 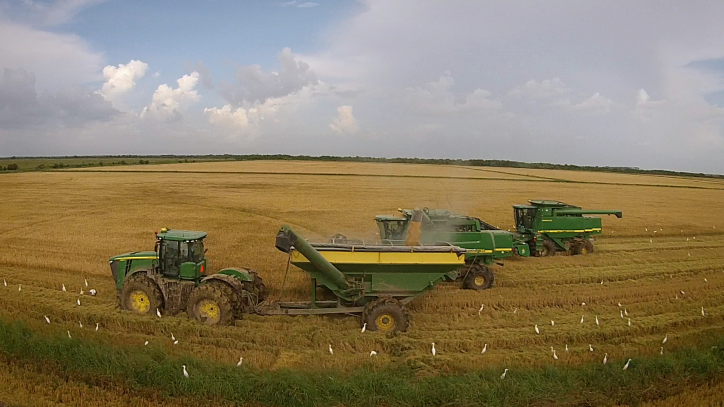 Sweet Lake Land & Oil is one of the state of Louisiana’s largest rice producers. I was ready to get in the boat to see the babies in the nests, but my husband is ever so curious and always interested in learning new things, like rice farming! I’d actually been on a tour of the Farmers Rice Mill before, so I already knew how Louisiana was one of the top rice producing states in the country and how important this crop was to our entire country. Plus, as a lover of Cajun cuisine, I know how rice in integral in our everyday dishes and a staple in our diet. But I’ll admit – I don’t know a THING about harvesting or combining. I’m not even great at COOKING rice, but I sure do enjoy eating it! Gumbo, jambalaya, étoufée, boudin….it’s all good, cher! We learned about the irrigation system and how important water is for rice. Then my husband and father-in-law asked a lot of questions about pumps, harvesting and distribution. Doug Miller, operations manager of Sweet Lake Land & Oil (the parent company for Grosse Savanne Eco-tours), explains that the Acadians planted rice when they arrived in South Louisiana since it’s perfectly suited to our hot, humid climate and our wetland soils. The next time you’re in Sulphur, stop by Creole Nature Trail Adventure Point. 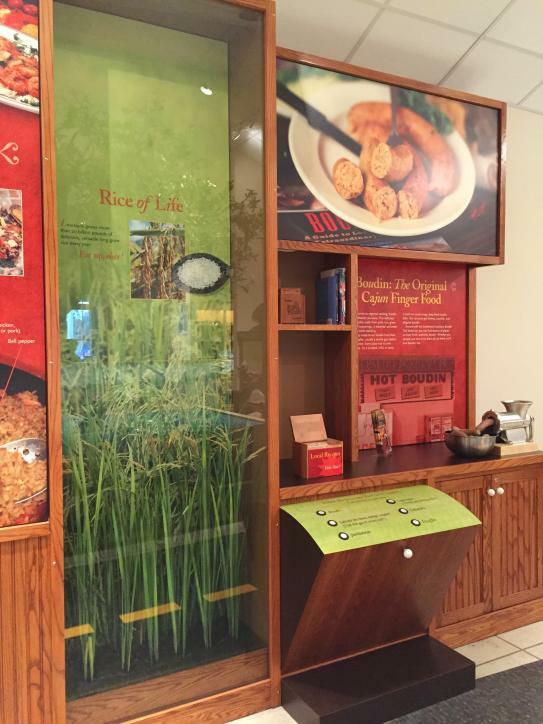 There’s an exhibit on the rice industry next to the boudin stuffer. While you’re there, go ahead and grab some free recipes from local restaurants. 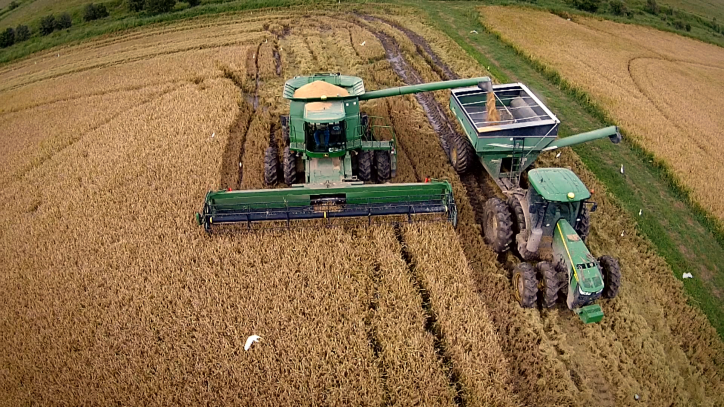 Check out Doug Miller from Sweet Lake Land & Oil and the rice farmers on this video to learn how rice gets from the farm to your table!